4 weeks of pills, everyday you will receive your daily pill for a better well being. This program is meant to get you back on track.. starting to change you life in a consistent healthy, well-being way… with fun, freedom and the right attitude! Probably you don’t have much time to give yourself a cuddle, a moment to be you, something that gives you joy, pleasure… wellness…. when you start to work out, it’s the same: finding time to go to gym, forcing yourself not to loose a day, otherwise you will go back to your non-fitness life, follow as many classes as you can, sweating as much as you can… getting soared is what you consider a great goal… but actually is more the stress to start and be consistent then the results… again Stress. Even when you decide to give yourself a day in a spa it usually become a “must do” every well-ness treatment program, you get massages while thinking about the last issues of your life, you spend a lot of money and the day all the benefits are gone… Stress again! Well… you probably know the: “from tomorrow, I’ll change my life” decision… that comes once in a while, probably with a new year, when summer is approaching, after summer holidays… when you’re tired of not be the one you would like to be. And on the other half of the times: you actually start!! Great job! But how much does it last? 2°case: some months… that’s actually a good job, then you consider your self satisfied with the results and you go back, even gradually, to your old-self… meaning you will loose the results in some months as well. 3° case: you actually changed your lifestyle… that’s the goal everyone would love to achieve. 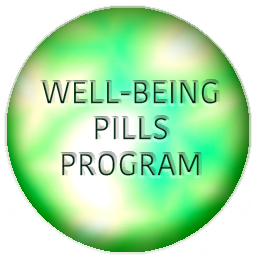 Well this 4 week-pills program aims to give yourself the right point of you on how much easier could be the change! Pills will take away maximum 5 minutes each day, and each day you will have to concentrate on different aspects of being well. The fun is the most important thing, still follow the tips with intention! Doing this together it’s motivating and we’ll share the fun… You can choose to do every pills, or just some of them, it’s up to you! Do whatever make you smile and you feel right! You might even slightly change the pills to your own lifestyle! Just try to get the sense underneath them! SUBCRIBE!!! (Leave your email, if you are interested only on the 4 Weeks Well-Being Program, leave just the second option checked! (the first one is for the general infos newsletter, and the third one is the Well-Being Program in Italian) …and of course it’s a plus if you register! (you will be able to leave comments and interact on the website! )… but most of all join the Facebook Group “Pilates Pills” to share with everybody the success of Well-Being! 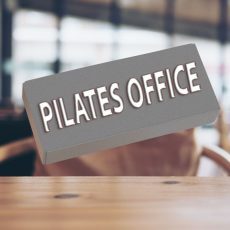 ← Pilates exhausting? … I don’t think so…you just lay down!